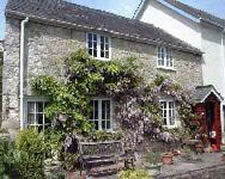 A delightful wisteria clad period stone cottage located in the heart of this popular village of Branscombe. The area is ideal for beachcombers and walkers with the nearby beach backed by magnificent cliffs with coastal paths to Beer and Sidmouth. 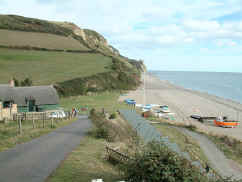 Branscombe is famous for being situated on the Jurassic Coast, a World Heritage Coastline. The village is set in a beautiful valley meandering down to the sea, surrounded by National Trust land. The cottage boasts a wealth of character and is beautifully furnished with antique items mixed with Persian rugs and designer soft furnishings. The property benefits from larger than expected front and back gardens with patio areas for dining alfresco. 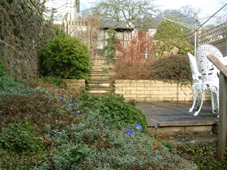 The property is accessed from the road by five stone steps, with a stream flowing beneath, and entering through a hedging archway into the front garden, which incorporates a rockery and pond. The delightful open plan lounge / dining room has a feature fireplace and is luxuriously furnished with oak furniture, Persian rugs, a large dining table with seating for 6, TV, video and music system. The charming kitchen incorporates a dishwasher, washer/dryer, fridge freezer, microwave, oven, hob and is fully equipped. The kitchen also allows for access to the back garden. The first floor contains three bedrooms - two double, and one single. Each has plenty of storage and have windows over looking the gardens. The family bathroom consists of white sanitary ware with a shower over the bath. To the front of the property, there is a parking space. We welcome a pet, for an additional £25 a week. Cooker, Hob, Microwave, Fridge Freezer, Dishwasher, Washing Machine, Iron. Real Fire, Telephone, House Linen. NSH and fires. All heating is included in the price. Large oak table with 6 chairs. Terrestrial TV, Video, Radio, CD System, Board Games. We also have a small library of books and videos. Terrace, Garden, Parking, Garden Furniture. Large cottage garden, beautifully planted. Children Welcome, Suitable For Elderly, Pets Allowed. Famous for being situated on the Jurassic Coast, a World Heritage coastline, the village of Branscombe is set in a beautiful valley meandering down to the sea, surrounded by National Trust land. Sunbeam cottage is located 150 yards from the renowned Masons Arms Inn, on a no through road, which leads to the footpath down to the beach. The donkey sanctuary, seaside towns of Beer and Seaton, Lyme Regis, Bicton Park Gardens, Abbotsbury swannery, Branscombe Manor Mill, Forge and Bakery. Short breaks are available at this cottage in low season.